Phakama offers two separate exclusive adjoining but private lodge facilities namely the larger Baobo lodge and the smaller Marula lodge. Baobab lodge comprises of a tastefully decorated reception and intimate lounge area, elevated restaurant venue with extended viewing deck. The lodge also offers a cozy open-air bush boma incorporating a cocktail bar and sunny swimming pool. A separate lounge and library area is available for reading or watching satellite television. A spacious bar is also available consisting of a lounge with pool table and satellite television. Baobab lodge present exclusive accommodation in 9 luxury air-conditioned suites with en-suite bathrooms and offers guests authentic African décor with complete comfort in a beautiful natural setting. Pure cotton linen and quality beds are standard. 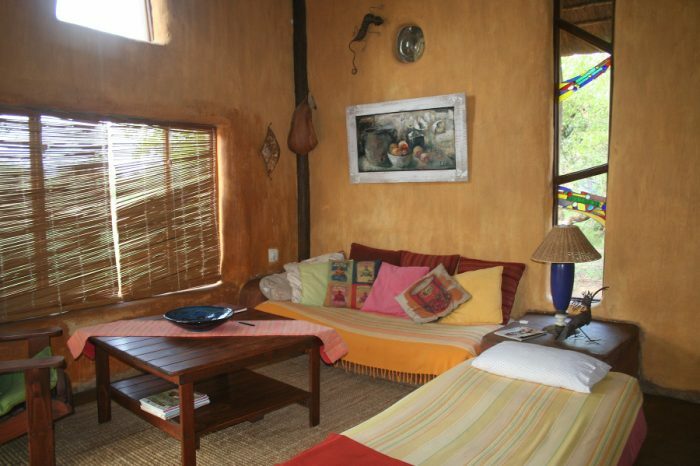 Baobab lodge at Phakama can accommodate 18 guests sharing or 9 single. Each room opens up onto a big lawn with a view over the waterhole where many animals visit daily. 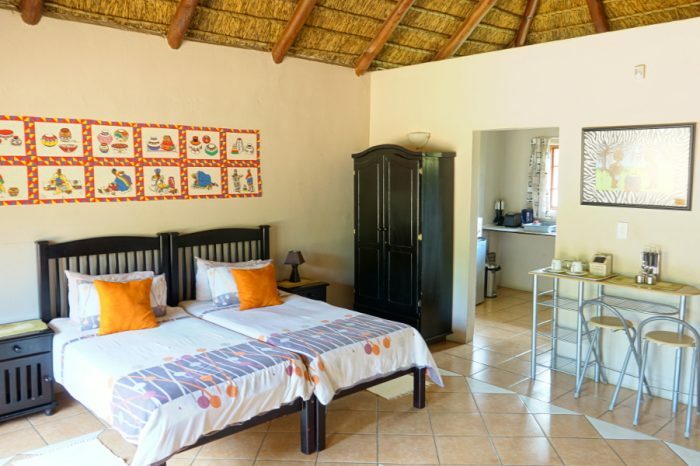 The thatched lapa has its own fridge, a beautiful boma braai area and a pool. Marula lodge provides a tranquil setting comprising of a lodge with satellite television, dinning room and designer kitchen. Other facilities include a private thatch entertainment area with open air boma and swimming pool. Marula lodge offers authentic African décor in 6 luxurious air-conditioned rooms. Pure cotton linen and top quality beds are also standard. 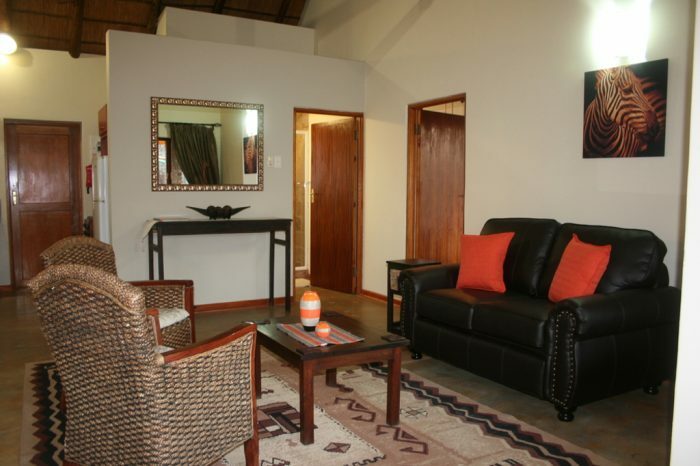 Marula lodge at Phakama can accommodate 17 guests sharing or 6 single. The house has 3 bedrooms that can accommodate 10 people sharing; 2 rooms can accommodate 4 people sharing, and a double room. There is an annex with also 3 double rooms and one single room that can accommodate 7 people extra. The thatched lapa is also part of a games room. There is a big swimming pool, braai area with sundeck and beautiful gardens to relax in. There is an air conditioned conference room that can accommodate 30 delegates. A smaller board room is available as break away room.